Sagepay Payments basic principle is to provide secure payments.As an internationally-oriented Payment Service Provider Sagepay Payments. Sagepay Payments has a lot to offer. All order and payment details will continue to be stored. 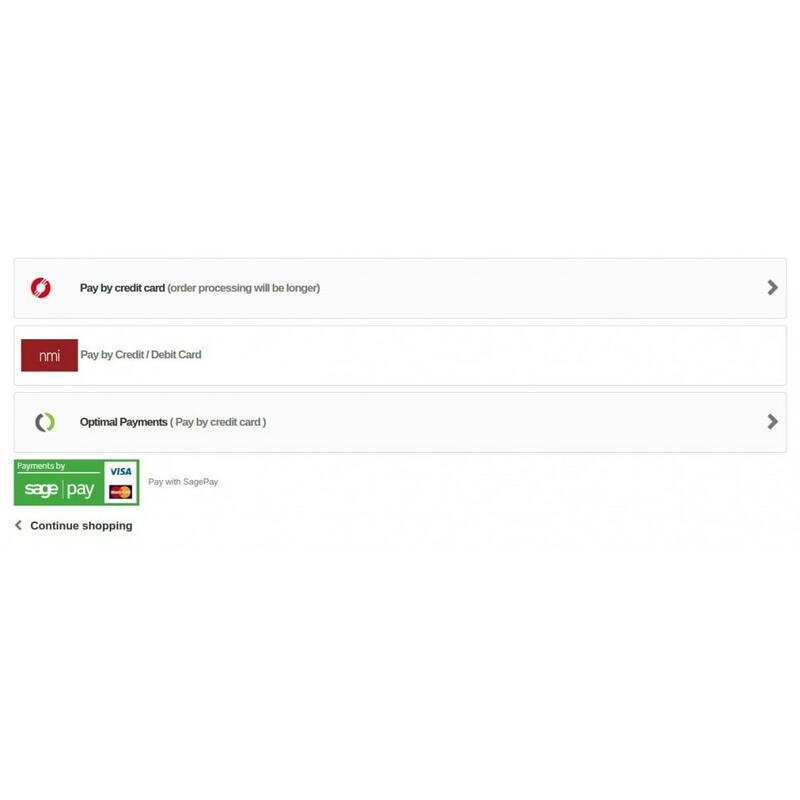 Check order quickly and easily on the payment page and will not need to be transferred to a separate environment. 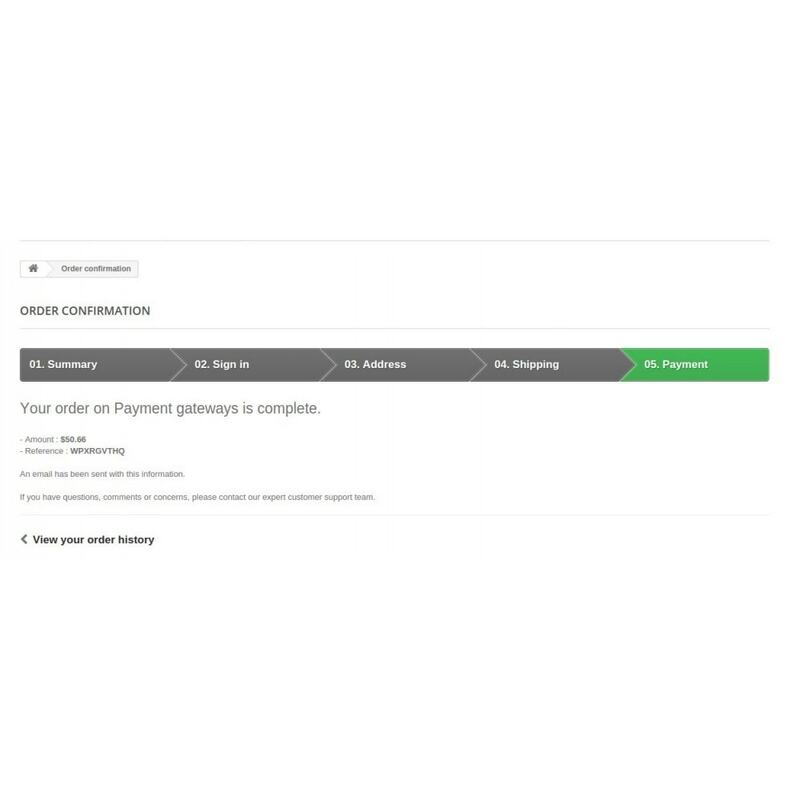 After checking the order, the customer can swiftly proceed to complete the payment process. 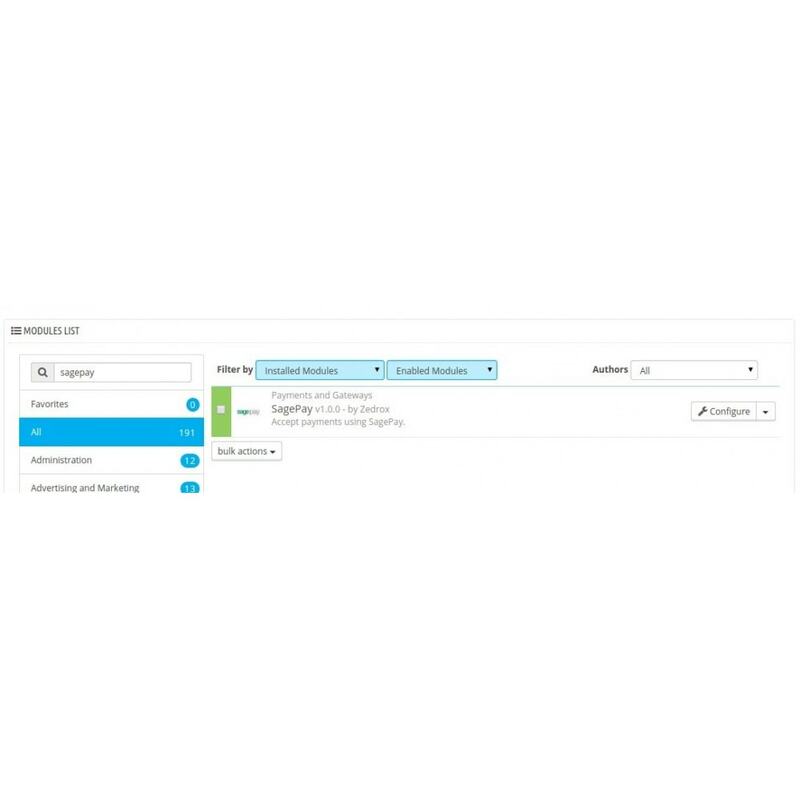 We sure that this module will work in your store. Tawk.to is a messaging app that lets you chat with visitors on your store. Tawk.to Live Chat is convenient for your customers, helping them through pain points and as a result helping you generate better customer support and higher conversions. 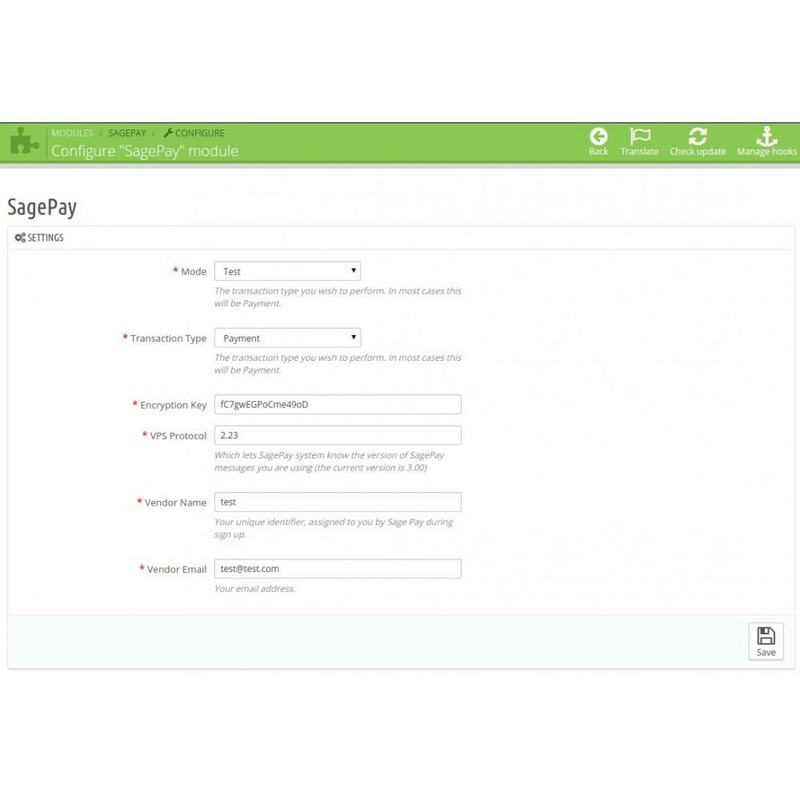 Sagepay Payments Payment Solutions creates a streamlined checkout process that allows customers to pay for products online buying the card details on the Sagepay website. Secured and fast, payment module accepts payment by credit card, Visa, MasterCard, Debit card and others. Pay with different cards (local or international). Works well, easy to setup and quick assistance from devs. Thank you! Typical installation using the Back Office of the store. Does not affect the core of PrestaShop.